Last week, I tried to do a simple think piece on Harry Potter so that I could ease back into blogging along with my new baby duties. Instead two things happened: a) I got my most readers ever, and b) I turned the pieces into epics in response. As a result, if you look to the calendar to your right, you’ll see that I did no actual writing. This week, I’ll follow up on some of the same ideas as last week, but limit my discussion to one movie so that I can stay sane and productive! When I chose my top five Hollywood movies of 2010, I hadn’t seen everything from that year yet. Case in point: How To Train Your Dragon got good reviews and a Best Animated Feature Oscar nomination, but I still assumed it was skip-able. But when I finally saw it: Wow! I would go so far as to say that this may be the best damned fantasy movie of all time! Last week, I did a lot of griping about Dumbledore. In fact, I love the old guy, and he did more good for that series than harm, but even a very well-written mentor can get a series in trouble. 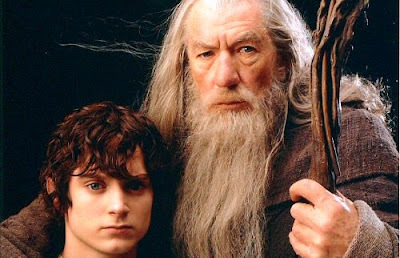 Everything mentors do makes it harder for the audience to bond with a hero: they give the hero knowledge, rather than letting them learn it on their own; they protect the hero from failure, rather than making them learn the hard way; they usually have the ability to do the job better than the hero would, making us wonder why the hero even needs to show up. All-loving, all-knowing, all-powerful mentors like Dumbledore, Obi Wan and Gandalf are the most problematic. In the scenes between the hero and such a mentor, where is the conflict? Where is the difficulty? Where is the heroic struggle? Once you’ve created such a mentor, you have to instantly look for ways to yank them away from the hero as often as possible. 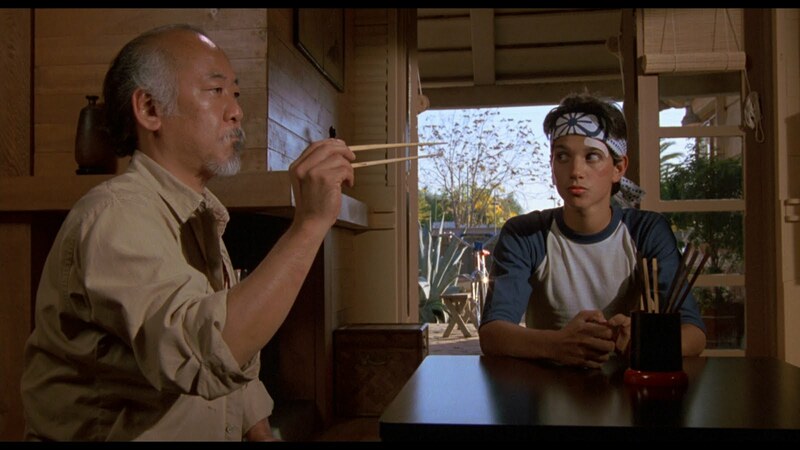 Flawed mentors are less of a problem: Mr. Miyagi loved Daniel-San deep down, but he was sarcastic, rude and ornery, giving their scenes a lot of bite. Giles grew to love Buffy, but she never wanted to do things his way. Since she alone had the power and he had nothing but knowledge, they were in a constant tug of war as to whose methods would prevail. But How to Train Your Dragon simply shows that young hero stories don’t necessarily need mentors at all. Nobody tells Hiccup to make peace with the dragons, he just does it. The writers create a situation in which he gets to see a different side of the dragons and so, with much trepidation, he follows his good instincts until he finds himself doing something heroic. No prophecy. No advice. Nobody telling him that he should believe in himself. He just rises to the occasion when the time comes. Doesn’t that sound better? 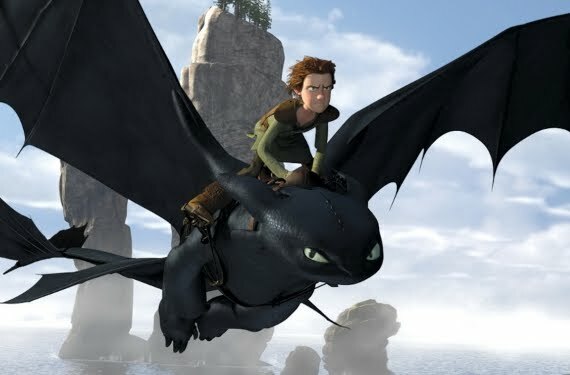 I'm looking forward to your HTTYD entries as I think this was by far the best movie of 2010 (at least my favorite)! Agreed that "How to Train Your Dragon" is a superior fantasy movie. It was the title that kept me away from it at first; it made the movie sound disposable. When I think about it now, though, I don't know what title would be better. 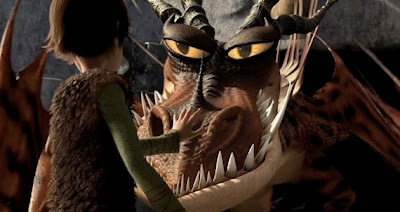 At least "How to Train Your Dragon" is brisk and unpretentious, and better than YE OLDE CHRONICLES OF DRAGONWING FIRESKULL PART I: THE FINAL REDEMPTION or whatever. Sorry, that would be "FYRESKULL." My mistake. 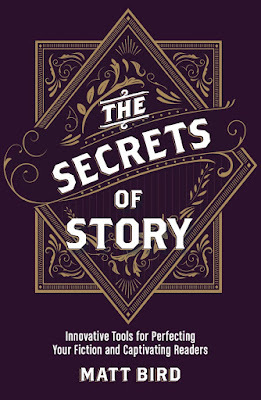 As someone who loves stories in nearly every conceivable genre except fantasy, I'm hoping you'll eventually get to a set of storytelling rules for genre(s) that will explain some of the appeal of this world of narrative conventions/expectations that enchants so many people but leaves me cold. Friends and loved ones have forced the supposed best-of fantasy on me to no avail: LOTR, HP, GAME OF THRONES, etc. hee hee FYRESKULL. which would also be a good metal band name if you put an umlaut over the U.
i will go so far as to say i liked the movie better than the book -- i agree, the movie was spectacular. tho i'll add that fantasy isn't necessarily my fave genre, so perhaps i'm not the best judge. but i think (sacrilege!) cloudy with a chance of meatballs was another movie that was actually better than the book. i haven't seen mr popper's penguins, but i'm unnerved by the raves -- i really don't WANT to like this one, since i am a big fan of the (deadpan weird, a tone that doesn't generally translate to kid movies) book and i tend to loathe jim carrey. but i suspect there ARE humans of STYLE and TASTE who prefer the movie! 1. I can't tell you that incredibly useful information because I made an oath to your mother that I wouldn't. 2. Now that I've helped a little, I must depart for some mysterious reason. But I may show up again later, when your need is great. "Good. Now ... if you trust in yourself..."
"and believe in your dreams..."
"...and follow your star..." Miss Tick went on. "...you;ll still be beaten by people who spent THEIR time working hard and learning things and weren't so lazy. Good-bye."